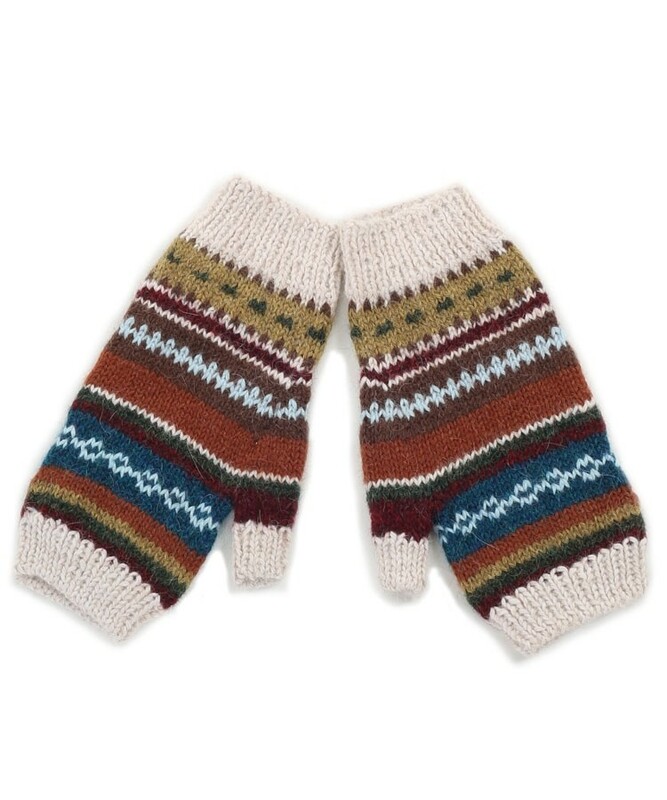 Hand knitted by skilled artisans in Peru using a blend of alpaca and acrylic. Fingerless for practicality but ultra stylish in an Autumnal colour palette. Alpaca is lightweight yet warm, super soft yet durable and even allergy friendly.